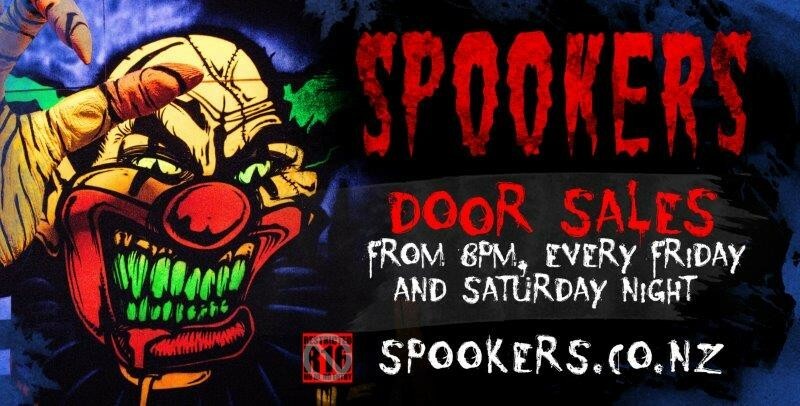 Spookers is New Zealand's "Home of Halloween" for the month of October. New characters every night. A new horrifying experience every night. No ID No entry. Door sales also available. 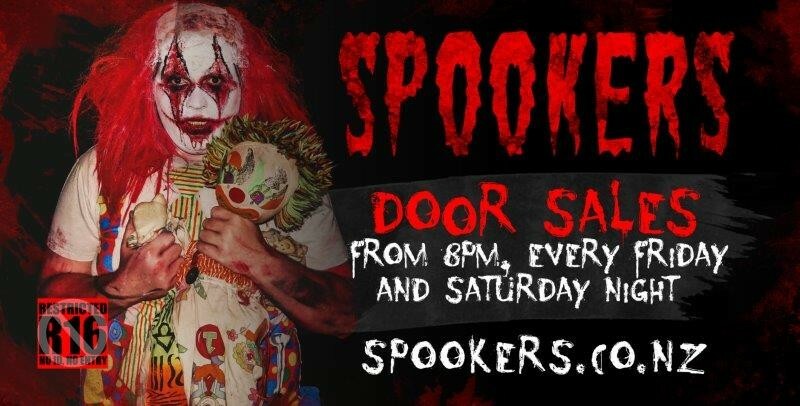 Now in it's 12th Halloween season, at Spookers you’ll find yourselves terrified in ways that are exciting, unexpected and always fun. Arrive at the entrance to Kingseat Psychiatric Hospital grounds and enter Spookers along a dark, winding road, surrounded by haunted buildings and creepy old trees. If you're brave, roll down your windows to take in the night’s stale air… but Beware! From the moment you arrive on Spookers property you are fair game to each and every haunted creature residing here. So frightening, you’ll want to come back again… and bring your friends! Special Halloween weekend package available to get you straight to the front of every queue. Halloween Super Speed Pass. Gate sales also available.